It is possible to increase the 2WIN capabilities/functions with the installation of additional software packages (APP’s). 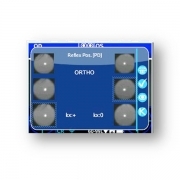 Thanks to the “Analysis of Corneal Reflexes”, the 2WIN can help your daily work by automating the analysis of refraction with a documented information of phorias and tropias (horizontal and vertical). 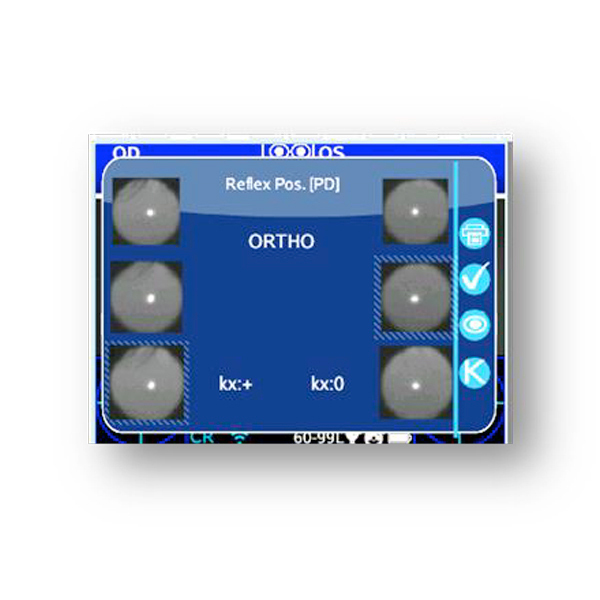 This application provides complete information regarding the position of corneal reflexes. 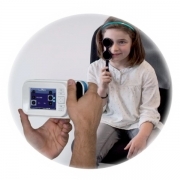 The CR-APP will add the feature to collect data from 3 measurements and analyze the corneal reflex. The results are expressed either diopeters or in degrees. ▪ This App allows you to measure hetero-tropias and/or hetero-phorias. 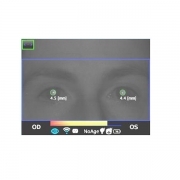 ▪ It compares the position of the corneal reflexes in three different measurements (the first binocular, the second and the third monocular under an infrared occluder). ▪ A black hand held filter is included and allows the 2WIN infrared rays to pass through while blocking all visible light. ▪ When the average position of the corneal reflexes in all the three different measurements is positioned within a value lower than the threshold value, the output is: ORTHO. ▪ When a manifest asymmetry of corneal reflexes is detected without cover test the output is: ET (esotropia), XT (exotropia). ▪ When an asymmetry of corneal reflexes appears only under cover test the output is: EP (esophoria), XP (exophoria). ▪ When a vertical deviation appears the output is: HT (hypertropia), IT (ipotropia), HP (hyperphoria), IP (ipophoria). ▪ The red marker point shows the position of the corneal reflexes. ▪ The angle of deviation can be expressed either in prism diopters or in legres. ▪ Stand at less than 1 meter distance from the patient and then go slightly backwards in order to enter in the acceptable range for the measurement. The acceptable distance is confirmed by the green bar in the upper part of the display of the instrument. ▪ Try to get the focusing indicator shape as sharp as possible. (the blue profile in the middle of the display). ▪ Please pay attention that at times the occluder can be a source of reflections. 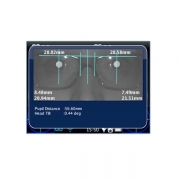 In this case ask patients to tilt slightly the occluder so that it doesn’t reflect anymore. In case you notice this kind of light artifact, please repeat the exam. ▪ Eyelids and eyelashes in pupil area can disturb. In any case, please remind patients to keep their eyes wide open to avoid this kind of problem.